City Farm is EXPLODING with life! 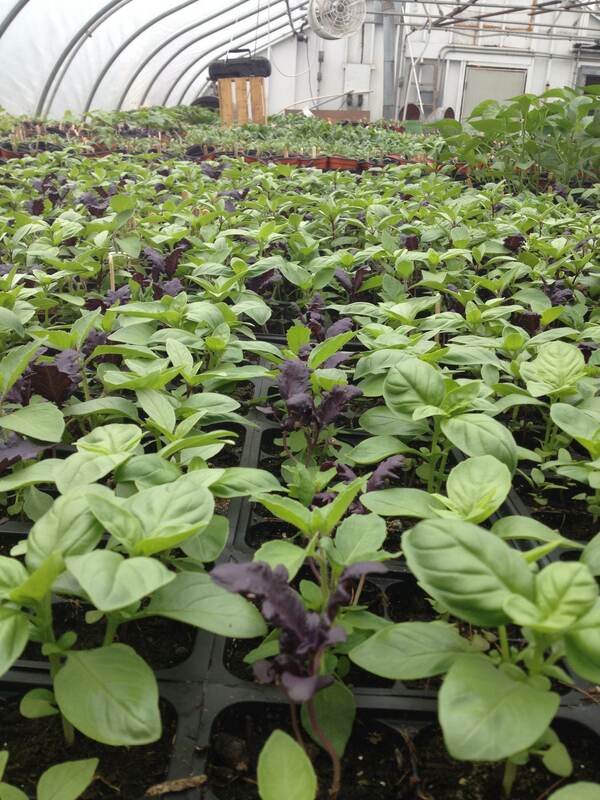 Countdown to City Farm’s Plant Sale: May 17-18th! We are down to the last 7 days before our 22nd Annual Rare and Unusual Plant Sale. As you can see, Rich and Joe and the City Farm Volunteer Posse have their hands full. The greenhouse is packed, the greens and herbs are taking over the patio, and the tulips are blooming. There are so many amazing, beautiful, and unique plants and perennials available. Keep coming back to check on the progress and preparations for next’s week extravaganza. 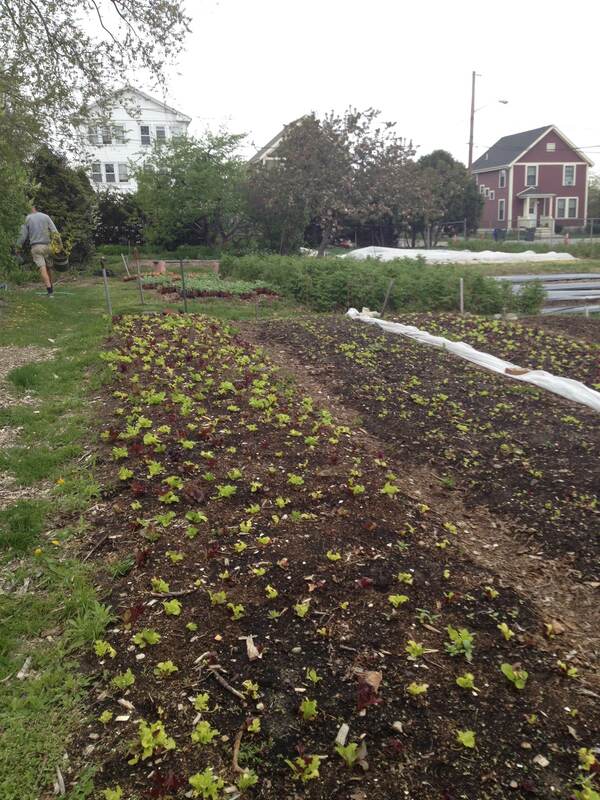 Southside Community Land Trust (SCLT) improves the health and wellbeing of Providence’s most low-income communities by providing individuals and families with access to land, resources, and education to help them grow food. 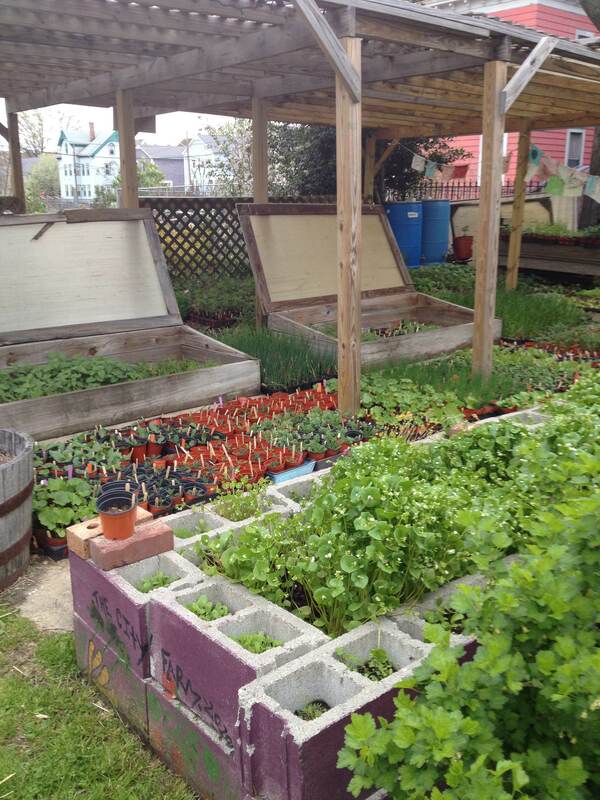 Each year, over 2,000 low-income Providence residents directly benefit from SCLT’s programs, which include community gardens, food growing workshops, youth gardening education, gardener leadership training and mentoring, farmer’s market support and sales, city and statewide advocacy for urban agriculture initiatives with the intent to improve community food security. 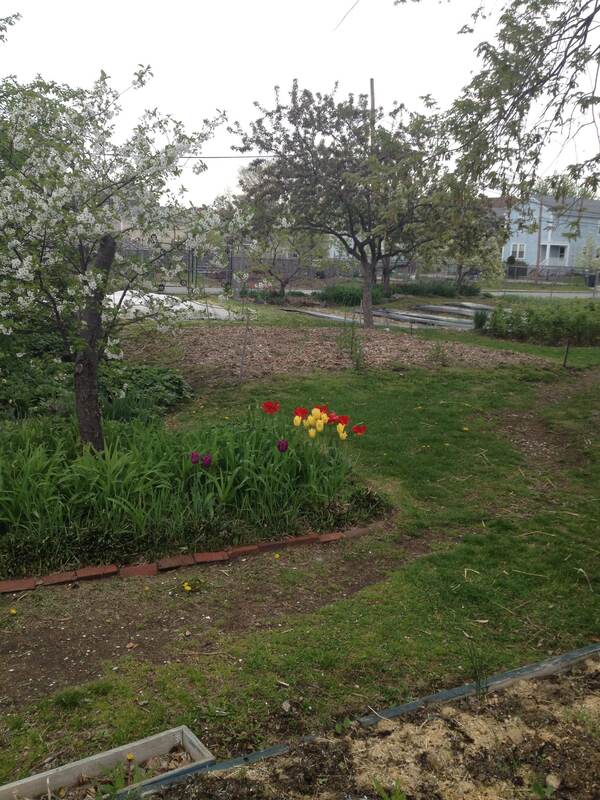 The City Farm Apprentice works side by side with the City Farm Steward in the operation of a ¾ urban farm, located in the heart of Providence. This unique sustainable urban farm paid apprenticeship will immerse an interested grower in the full spectrum of urban agriculture. It is a full time (40 hours a week) position beginning on March 15, 2014 and ending on November 15, 2014 and will give an individual an entire growing season of experience and work. City Farm is a multipurpose bio-intensive market farm that grows plants for an annual plant sale (which is a major fundraiser for the organization), participates in 3 farmers’ markets, and sells to restaurants while providing garden education opportunities for youth and adults on “how to grow healthy food” in the city. The City Farm Apprentice will help with the daily farm operations. This physically demanding work will include preparing the farm fields for the growing season, greenhouse production work, watering and irrigating crops, chicken husbandry, weekly composting management, seeding, transplanting and harvesting crops, weed management, direct sales at Farmer’s Markets and with restaurants, donation deliveries, fruit tree care and berry production, and volunteer coordination. The apprentice will also help coordinate our high school internship program, lead farm tours, and co-teach/teach workshops. The apprentice will also be expected to attend our monthly springtime plant sale committee meetings, monthly Little City Growers Co-op meetings, and other related and useful relationship commitments beneficial to the farm’s operation. Have a valid driver’s license and a clean driving record. Candidates fluent in an additional language or languages are encouraged to apply. Paid Stipend is $1,375 a month for 8 months. To apply, please submit a cover letter and resume by Friday, January 31st, 2014 (for a March 15th 2014 start date) to Richard Pederson, SCLT City Farm Steward, at cityfarm@southsideclt.org.